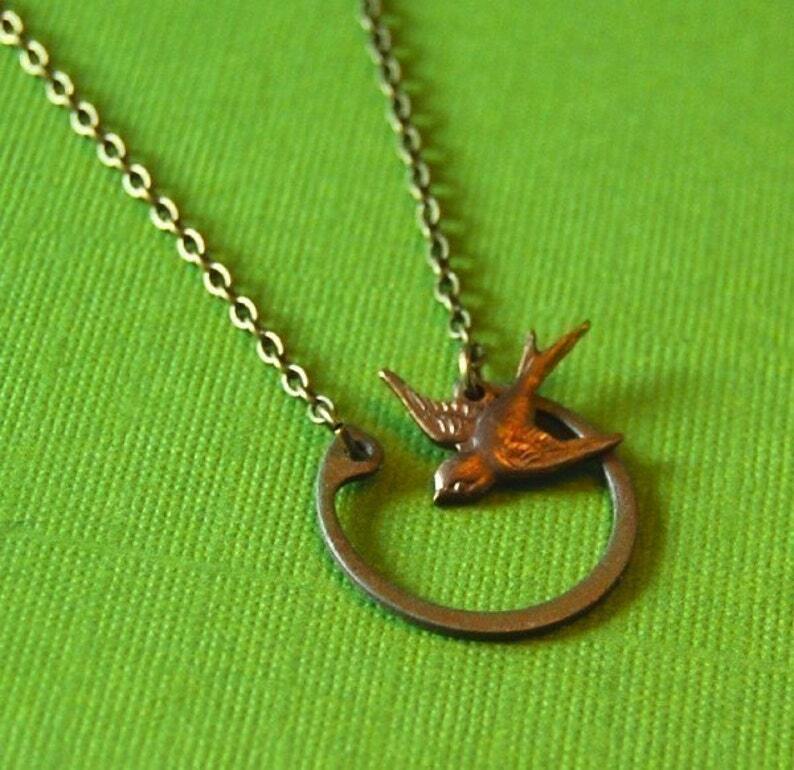 An antique metal horseshoe finding has been cleaned up and paired with a vintage brass sparrow charm. They hang from a fine antique brass chain. Pendant measures 1". Chain measures 17".